Kia Sportage Boot Space, Size, Seats | What Car? 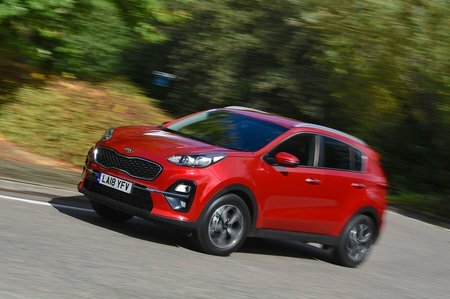 The Sportage has just as much room up front as most of its rivals. Particularly tall drivers might find the panoramic sunroof (standard from 4 trim) restricts head room slightly, but most people will be fine with the space on offer. Access is good. 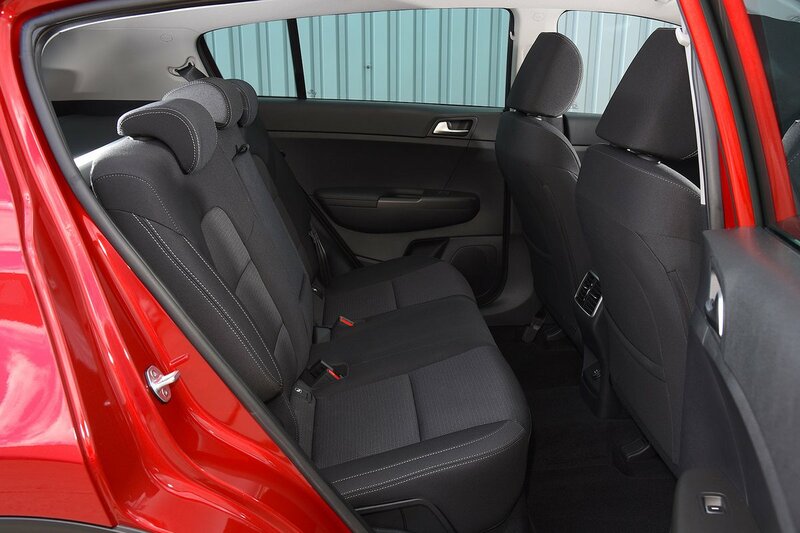 The doors open fairly wide – if just short of 90deg – and there’s plenty of space to make it easy to slide into the seats, which are at roughly hip height for an average-sized adult. The door pockets are big enough to take a small bottle of water easily and there are two fixed cupholders behind the gearlever that’ll take most large takeaway cups or travel mugs. Again, the Sportage is on a par with most rivals in this area, with a good amount of leg, head and elbow room to keep two tall adults comfortable. A low central tunnel in the floor leaves more foot space for the middle passenger than some rivals offer, but the flat, firm seat cushion means they won’t enjoy longer journeys. All models get pockets on the backs of the front seats, two coat hooks and a fold-down centre rear armrest that houses two cupholders. The rear door pockets are easily big enough to hold 0.5-litre drinks bottles. This is one area where the Sportage fares better than many rivals, including the Seat Ateca. Its rear seats are split 60/40 and recline to an indulgently laid-back angle, whereas most rivals have fixed-position rear seats. It’s also easy to drop the spring-loaded rear seatbacks by pulling the lever at the side of the seats (the same lever that also allows you to recline the seatback), although it’s a shame there aren’t also levers in the boot. The front passenger seat is height-adjustable in all versions, but 4 trim and above brings eight-way electric adjustment. There’s still no adjustable lumbar support for the front passenger, though. The Sportage has a big boot, with a floor that’s flush with the boot opening and the rear seats (when they’re folded down). 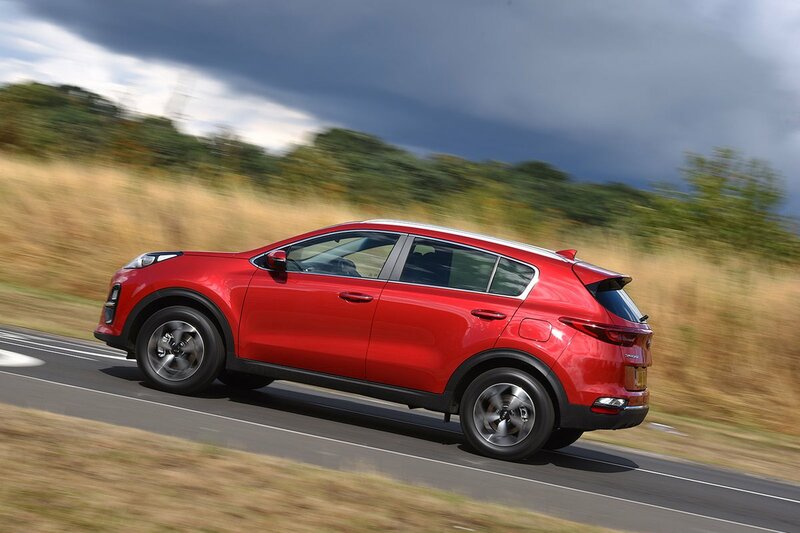 Even with the rear seats in place, the Sportage’s boot is actually longer than the Ateca's, although not as tall, and the boot opening is conveniently large and square-shaped. However, the wheel arches do cut into the space a little. Still, the Sportage has one of the better boots in this class and it’s more than big enough for a buggy or a couple of sets of golf clubs. The Skoda Karoq’s boot is noticeably bigger, though, while the Ateca’s has an almost identical capacity to the Sportage’s. The Nissan Qashqai’s boot, meanwhile, is much smaller.